Bentley Bentayga Pikes Peak honours the British marque’s victory at the international hill climb event. Rhys Millen has set a new production SUV record in a Bentley Bentayga W12, setting a time of 10min 49.902secs. 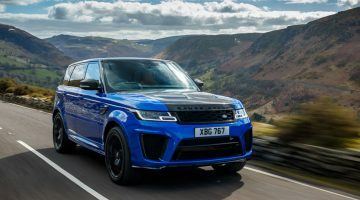 The previous record was held by Land Rover’sRange Rover Sport, which completed the course in 12min 35.610sec four years ago. Millen’s Bentayga is a standard, road registered production car built by Bentley’s motorsport department in Crewe. The only modification made to the car, aside from the fitment of a safety cage, was to the front bumper to allow for additional cooling to the 600bhp, twin-turbo 6.0-litre engine. The W12 was also fitted carbon-ceramic brakes, which are an option on Bentayga models, and an Akrapovic exhaust system. Commenting on his run, Millen said: “When I reached the first double-apex right hand corner after the start and felt the grip from the tyres and the surface I knew we were on a good run. From there I knew how hard I could push and how fast I could go. “Higher up the course you could see where the track was cooling because the weather was coming in, but there was still plenty of grip and I only had to go off-line on two occasions to find the best grip. 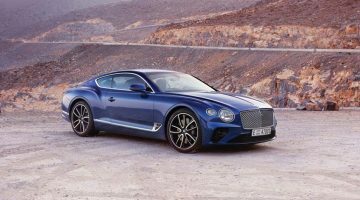 Bentley is expected to commemorate its Pikes Peak success with a limited edition Bentayga model, with Pikes Peak the racer also expected to be present at next month’s Goodwood Festival of Speed. VW is also expected to bring the I.D R Pikes Peak to the event. Under the lurid satin Radium Green wrap of the Pikes Peak car is a standard production specification Bentayga, bar a few small details. 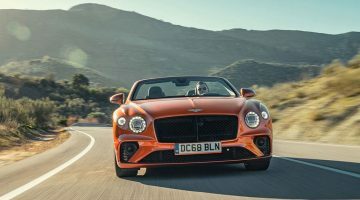 Admittedly, some of those small details mean the loss of 300kg off the kerbweight, because that’s how much is saved by gutting the interior of its electrically-adjusted leather armchairs and thick carpeting. In their place is a full competition bucket seat for Millen and a very sturdy roll cage – the latter a necessity given the potential dangers of the Pikes Peak course, which rises to 14,000 feet with sheer drops down the mountainside as competitors climb higher up the course. The Bentayga used a homologated road tyre and 22-inch wheels from the production range. During preparations the team experimented with anti-roll bars and suspension settings, but gear ratios and engine power will remained untouched to preserve the link with the production car. Having been lent a road-going Bentayga out in the US, Millen developed his own, larger paddles for the eight-speed auto ‘box at Crewe; he drove the car in Sport and manual mode, and his own team will be leading the operation on the ground.